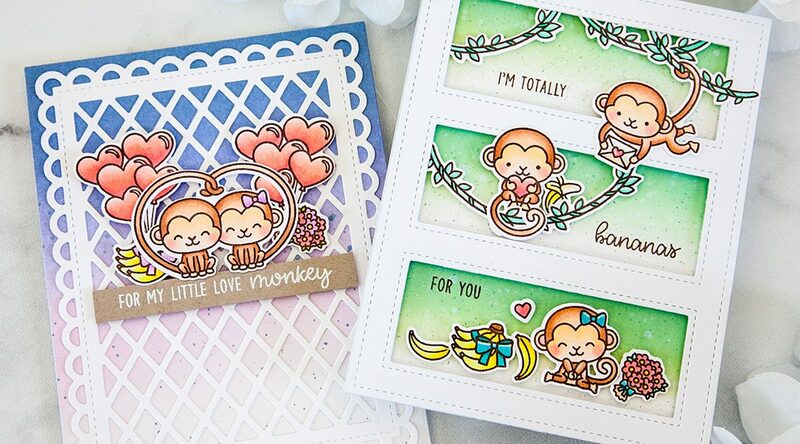 Today I have the honor of guest blogging on the Sunny Studio Stamps blog sharing a pair of cards showcasing their newly release stamp set called Love Monkeys and a new standalone die called Frilly Frames Lattice, and I’ll be sharing those projects here as well! How cute are these monkeys? 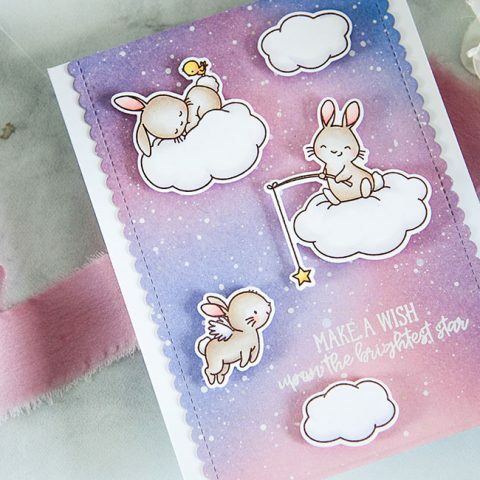 I’m often drawn to picking sets that has lots of adorable critters, without even a thought about what I plan to do with them! But lucky for me, this set has several accessories and scene building elements that make it incredibly easy to work with. 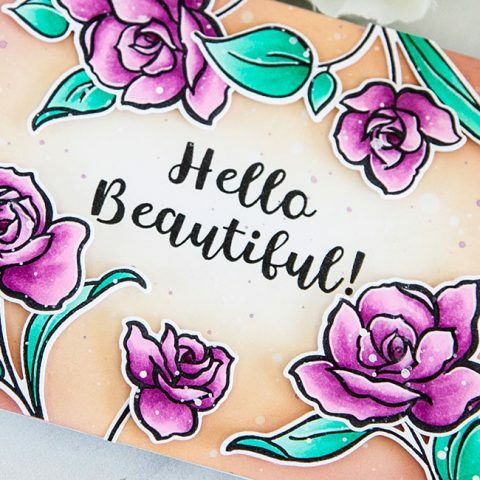 Without thought, I stamped all the images in the set in a Milk Chocolate hybrid ink and colored them with copic markers. 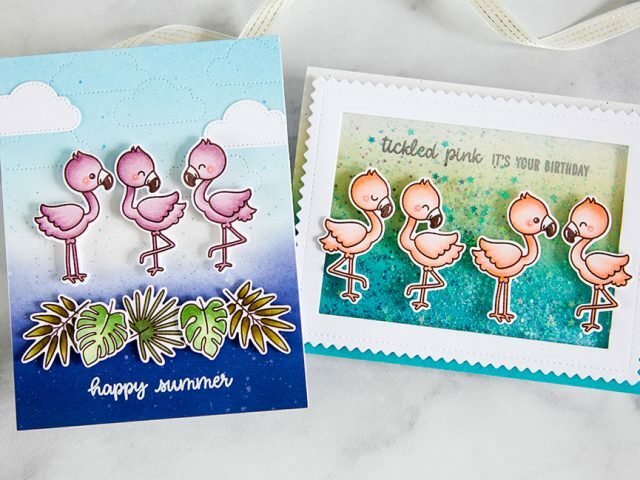 I stamped several extra vines knowing that they will come in handy when building this card. Knowing that I wanted to have these monkeys hang off the vines, I needed a place to hang them! So I used the Tri Window Cover dies to create the perfect frame to hang my monkeys around. With the help of some post itsfor masking, I added some ink blending gradients behind each window with Evergreen Bough, Cracked Pistachio, and Antique Linen distress oxide inks. Next, I stamped a third of the sentiment in each of the windows in the same Milk Chocolate hybrid ink. 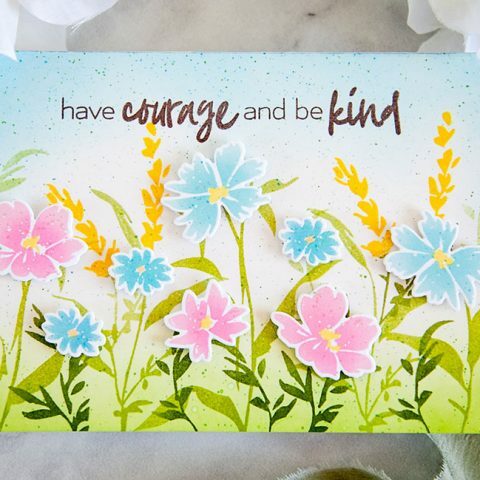 The sentiment happened to already come in three separate stamps, so I didn’t have to be extra creative! Now we’re ready for assembly. I added the frame and all the colored elements to the card with lots of foam tape. 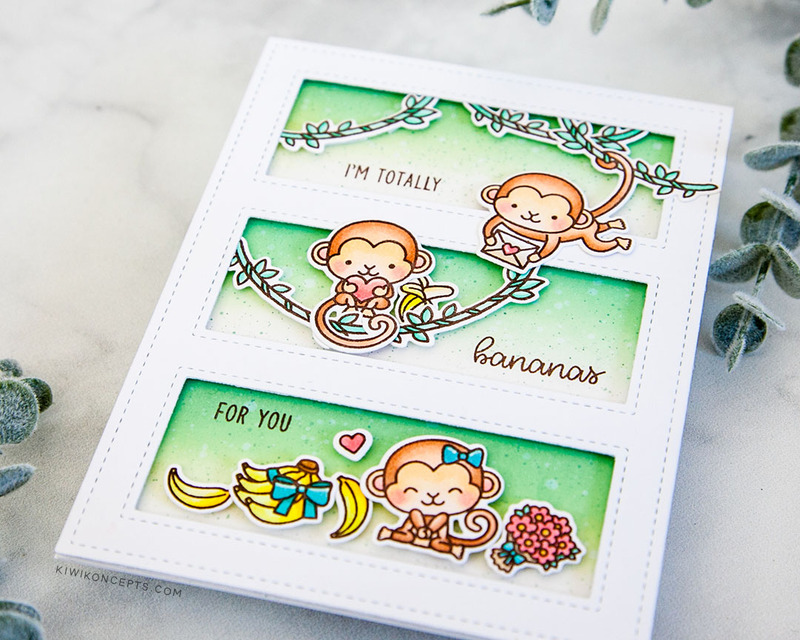 My next card is a little more simple in that I don’t have monkeys hanging around all over the place, haha! I stretched my stamps a bit to use the heart balloon image. 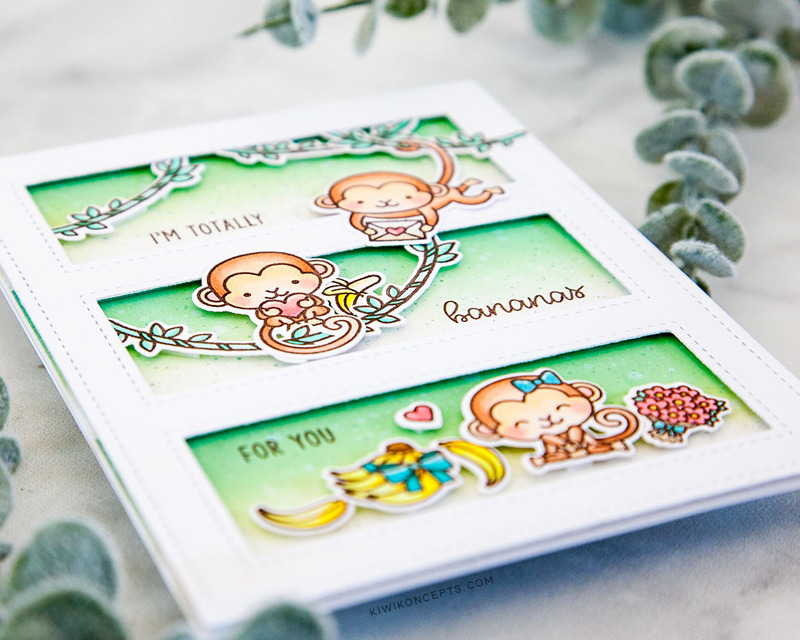 The original image comes with a monkey holding onto them, so I simply cut him off, and tucked the ends behind the gifts, the bananas and the bouquet, so that it looks like these items were weighing down the balloons! 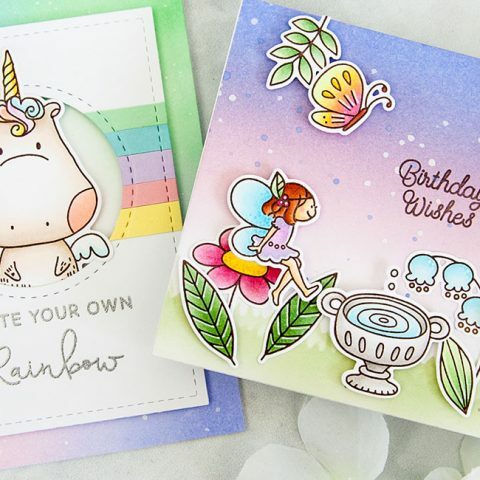 I blended a background with distress oxide inks to coordinate with my coloring. 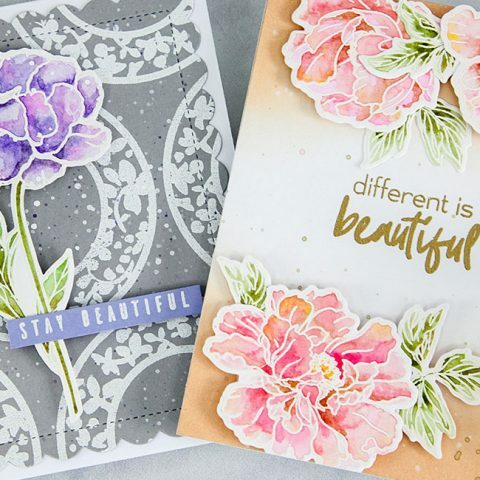 Then, I used this beautiful Frilly Frames Lattice die out of white card stock to add a delicate texture to the background. 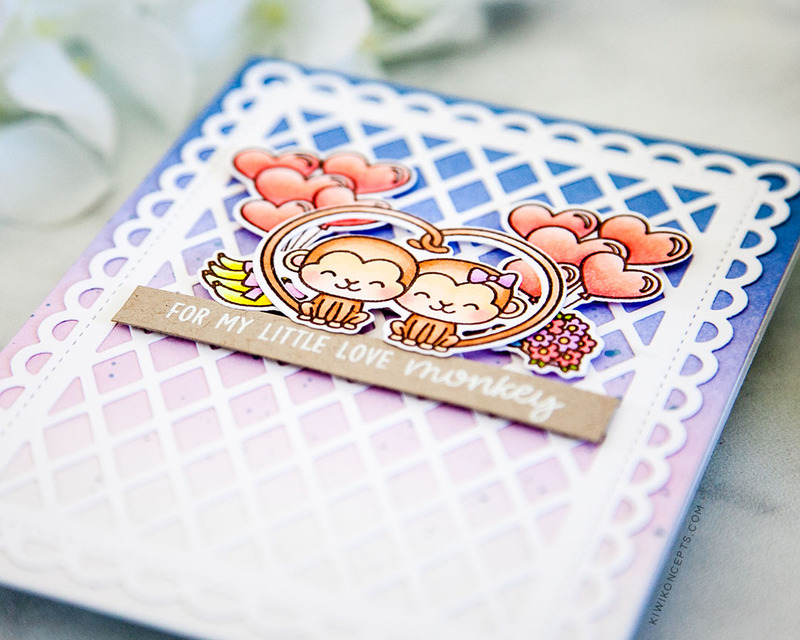 Next, I heat embossed the sentiment ‘for my little monkey’ in white onto kraft paper. 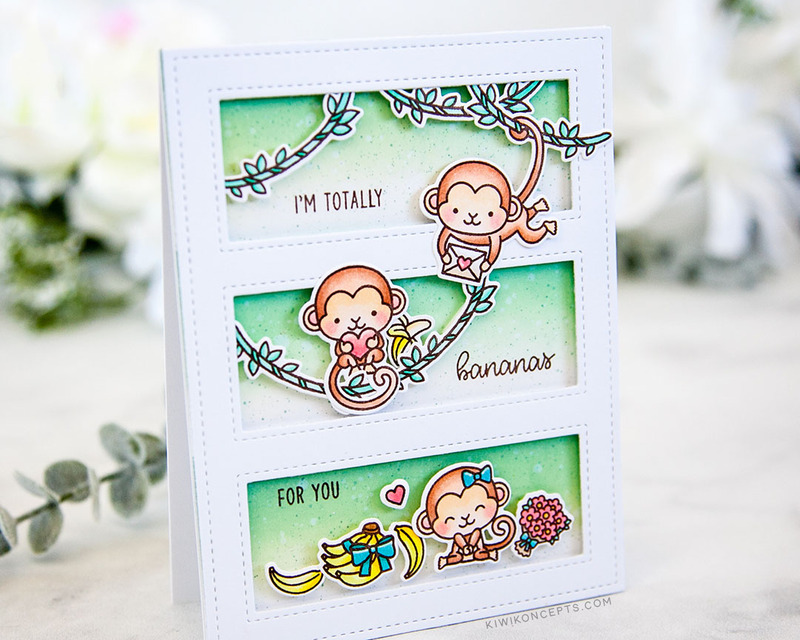 This sentiment is also part of the Love Monkey set. I trimmed it down to a strip, added it to the card on foam tape, and used it to ground my images as well. 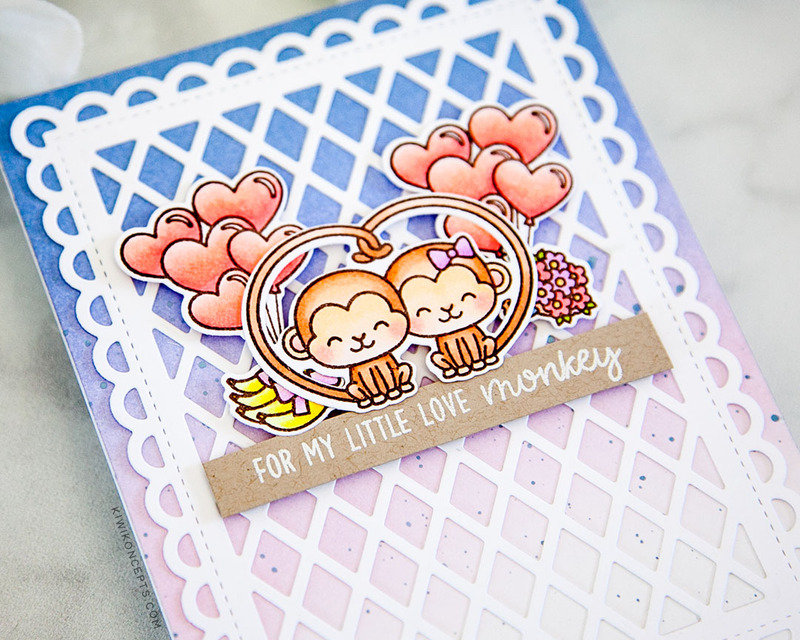 Aren’t these little monkeys adorable?! 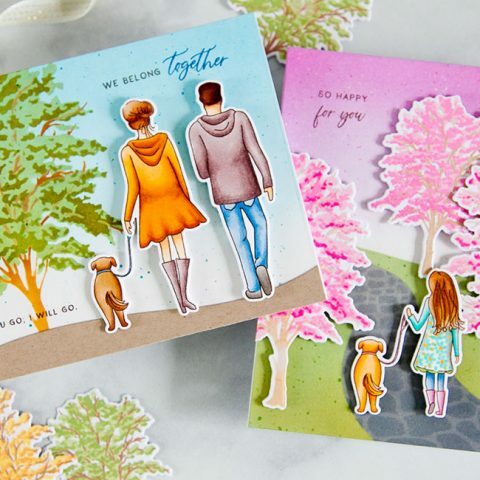 If you haven’t already check out Sunny Studio‘s recent release for more awesome products!